eye catching as the outside? added to the frosting sections of the stamp. I colored and cut out the eggs on the second stamped one and adhered them over the ones on the cupcake. Using a small flower punch, I punched six pink flowers. Using a stylus and a sponge mat, I pressed in the center of each flower to curl the petals upward. A small white dot was punched for each center and the two sections for each flower were glued together, alternating the petals. 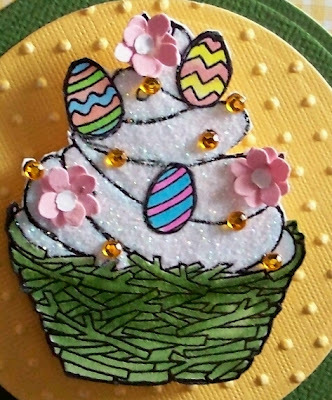 Small rhinestones were added where little circles were in the stamped image. Looks good enough to eat, right? pastel papers for Spring). Circles were cut from Spellbinder's Classic Circles nestabilities. 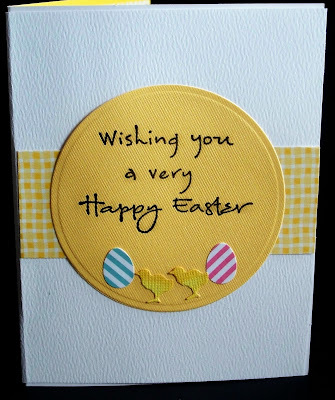 The smaller circle was run through the Swiss dot embossing folder. Ribbon is American Craft. The eggs were punched from a small egg punch I have had for years. 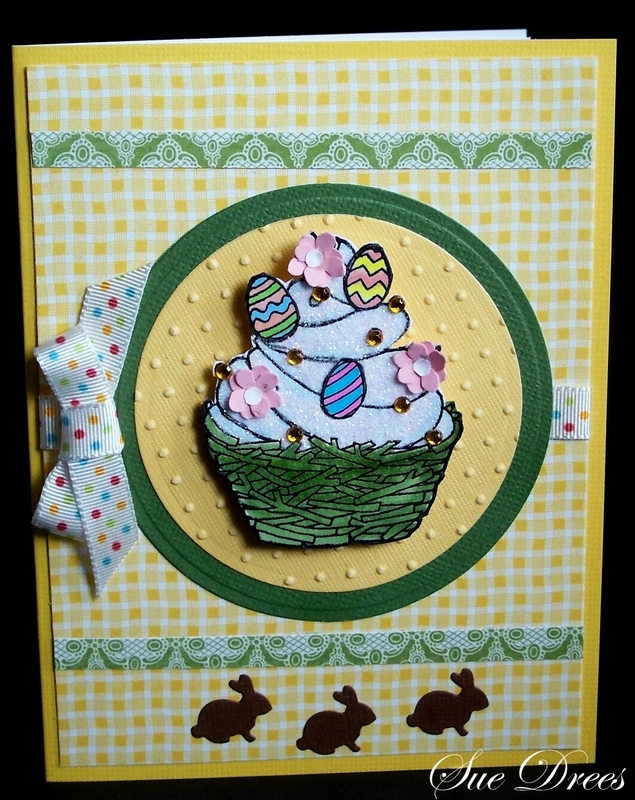 The chicks, and the chocolate bunnies are from the Cheery Lyn Designs die, Bunny and Chick (B171). 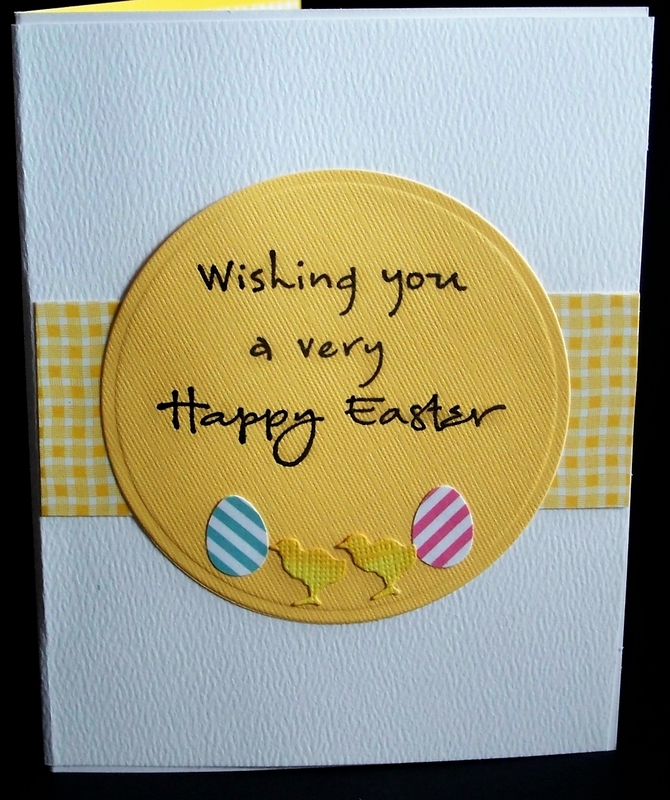 I distressed them with Wild Honey distress ink. 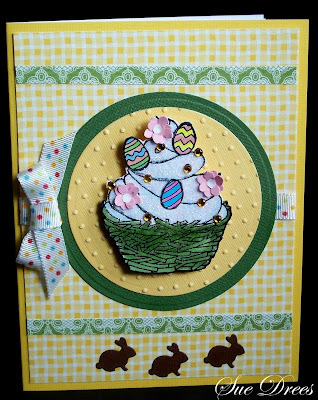 It's a very beautiful card Sue and so very cute.